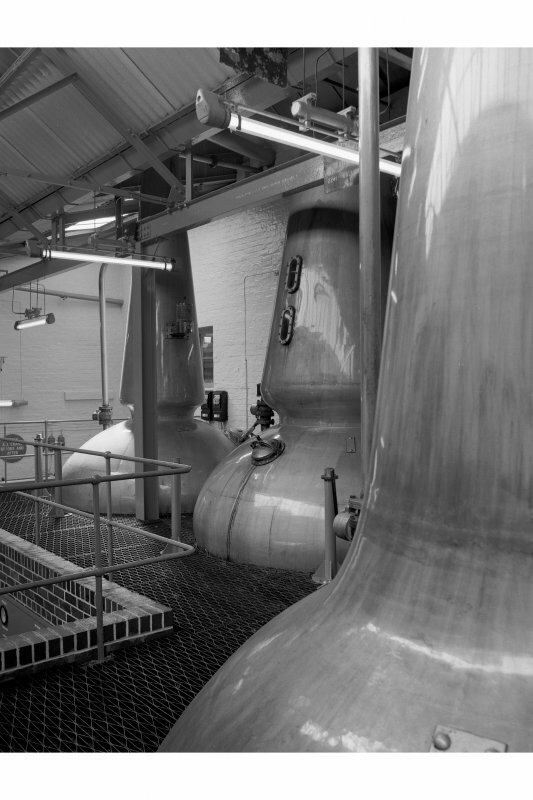 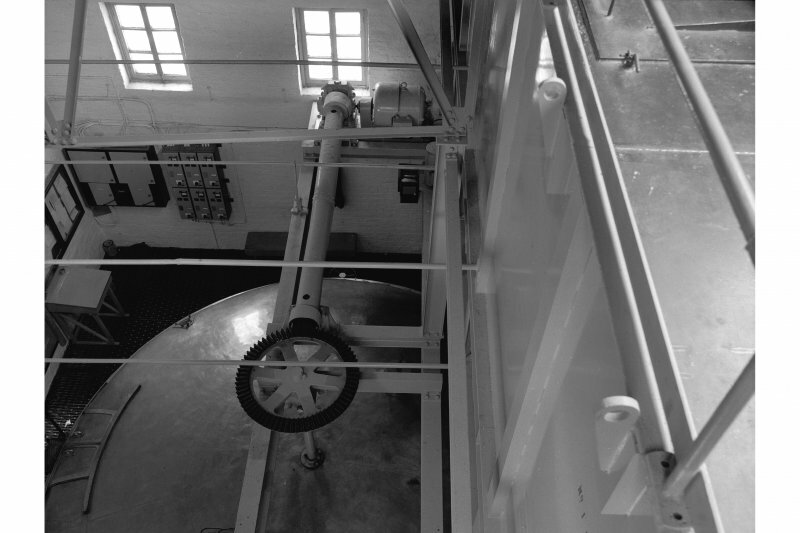 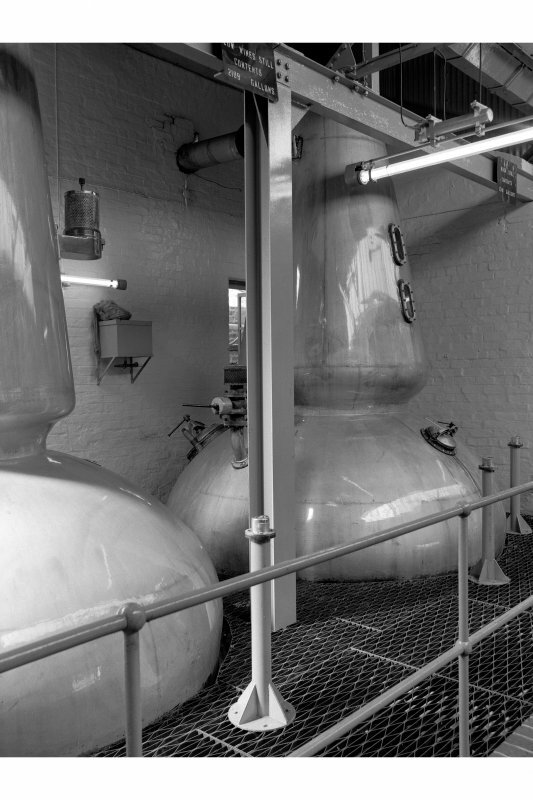 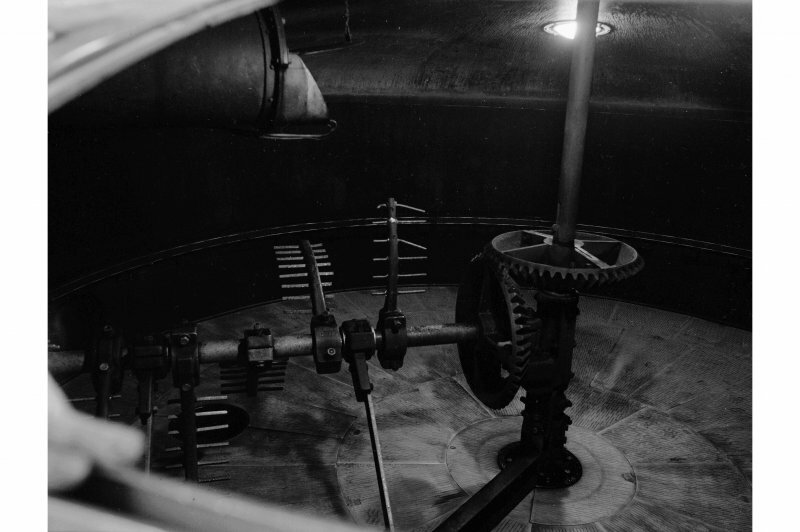 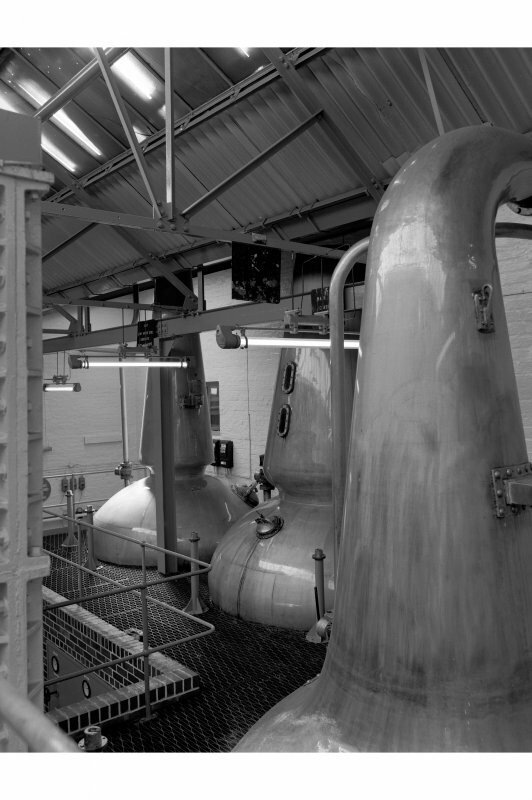 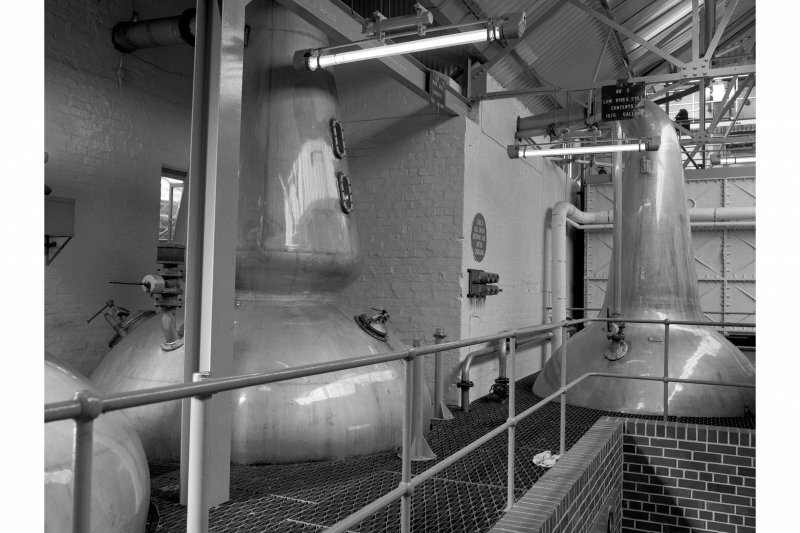 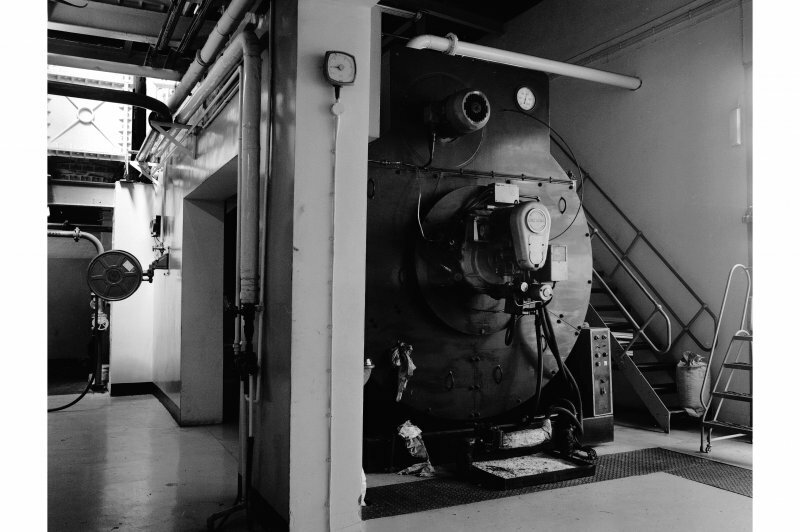 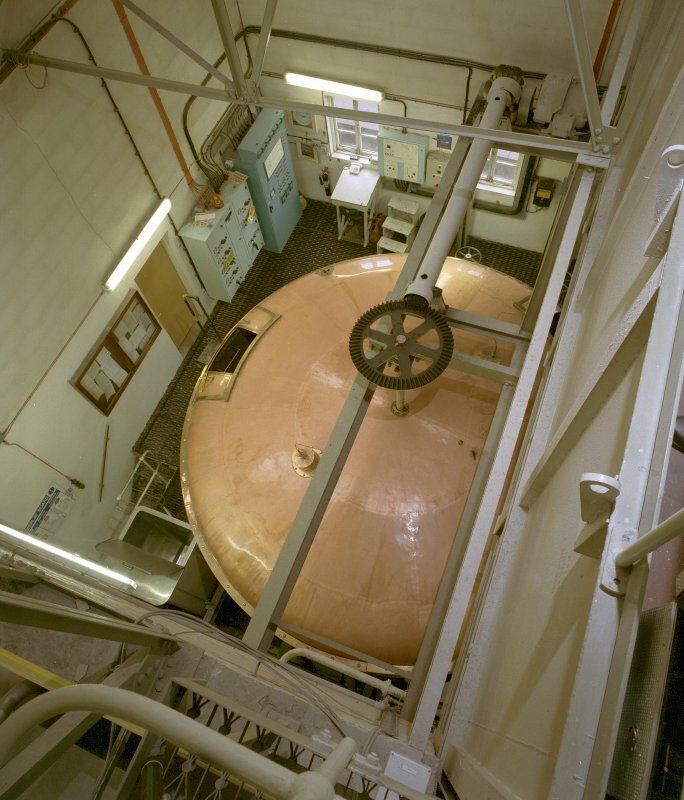 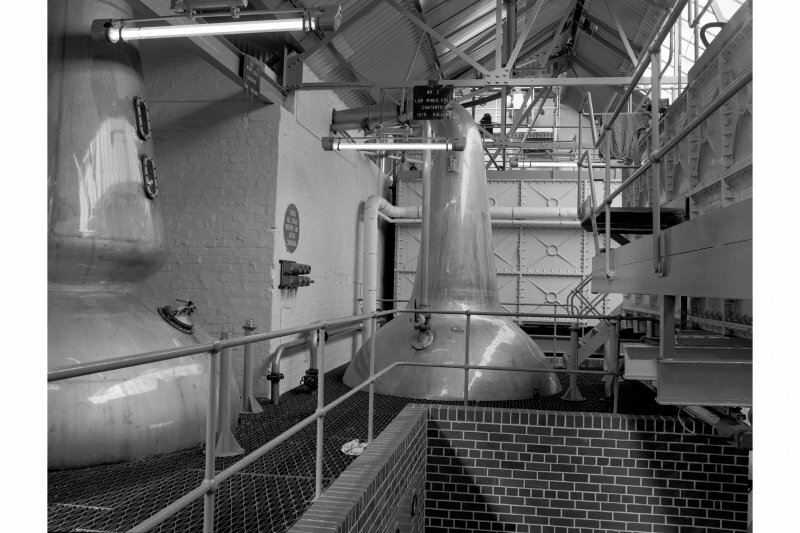 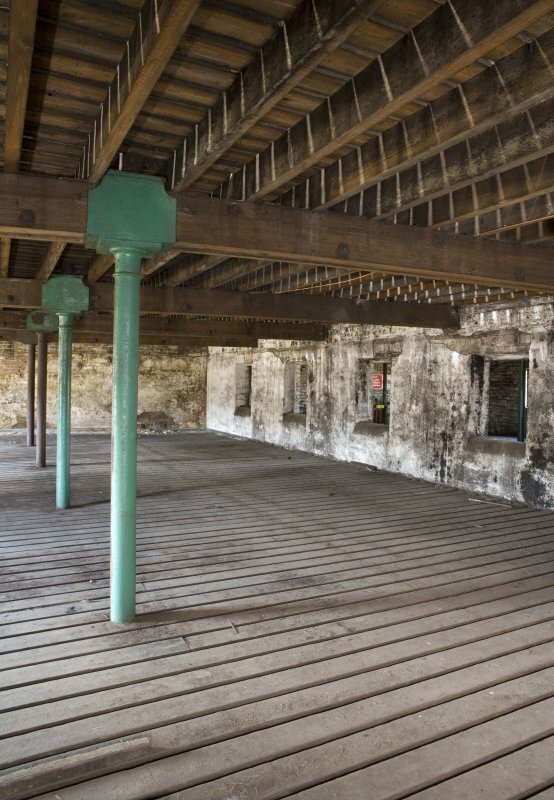 Interior view of bonded warehouse (west section) at rosebank Distillery. 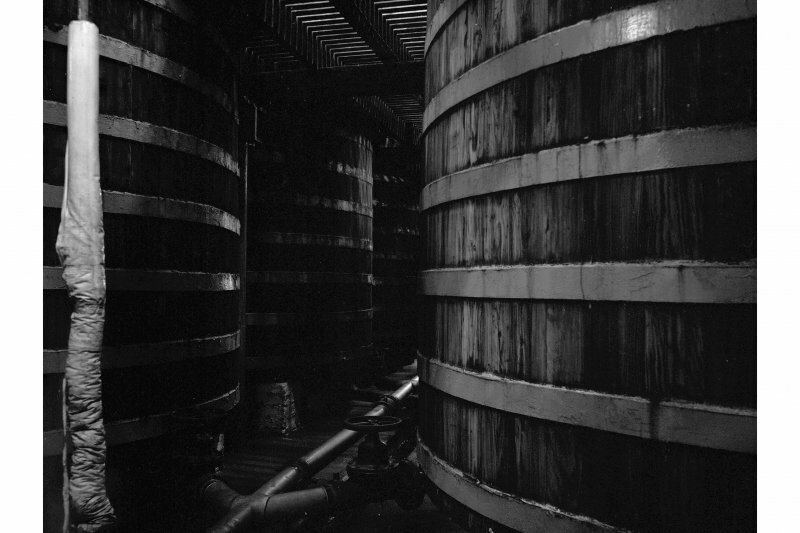 View looking along the barrel runners in the N side of the warehouse towards the barrel hoist. 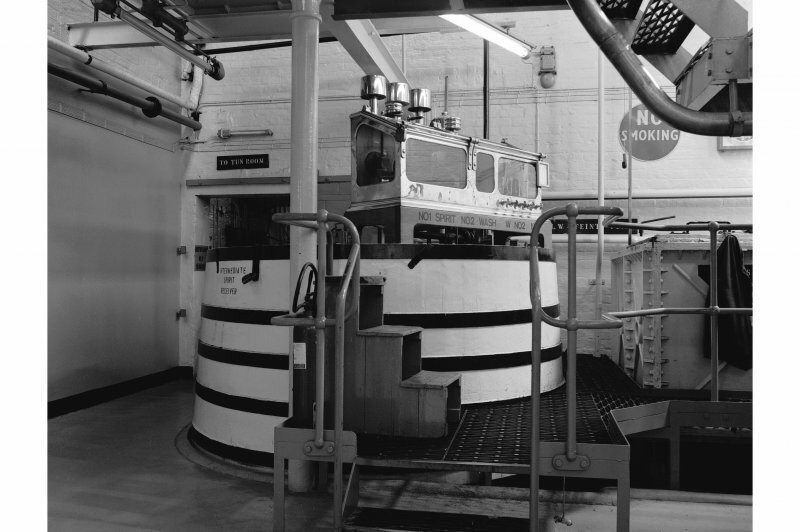 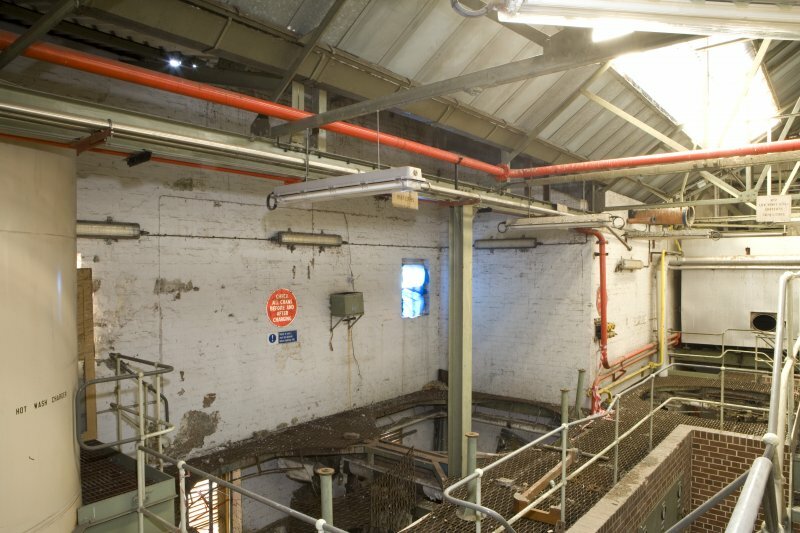 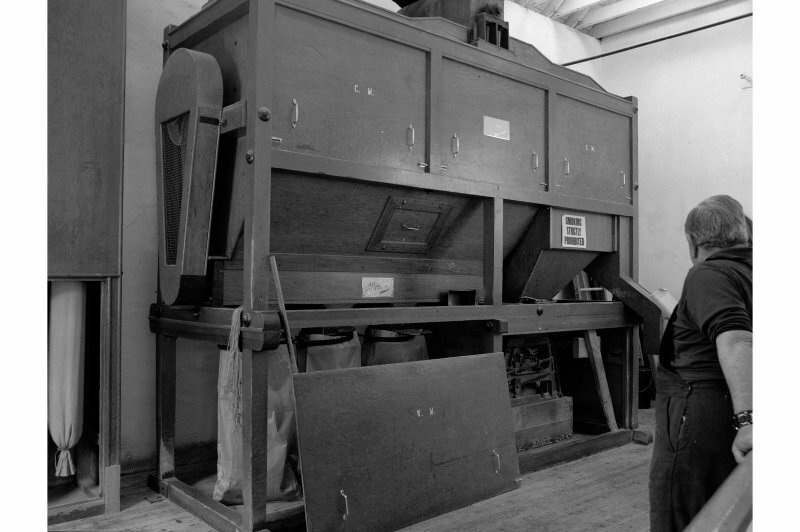 Interior view of the bonded warehouse (west section) at former Rosebank Distillery, looking along the N side of the dividing wall at first floor, towards the barrel hoist. 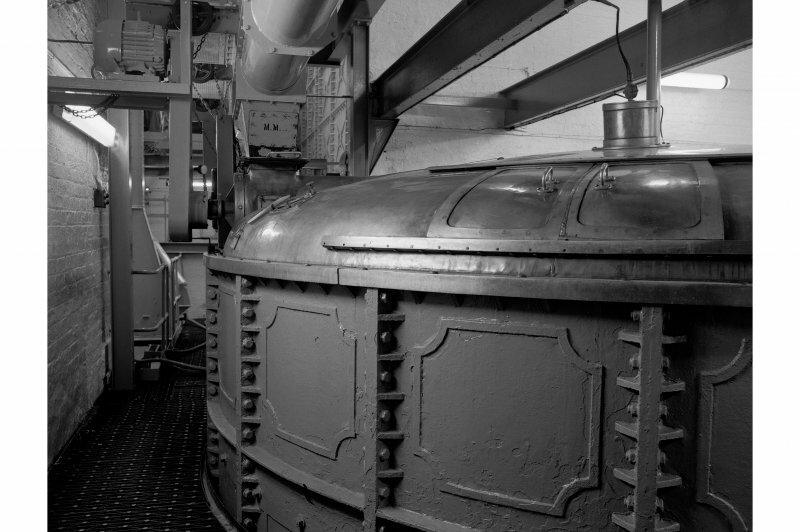 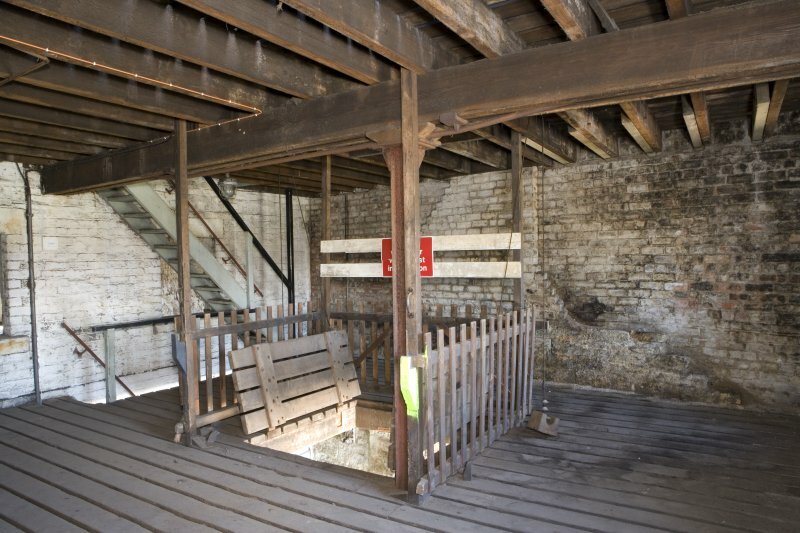 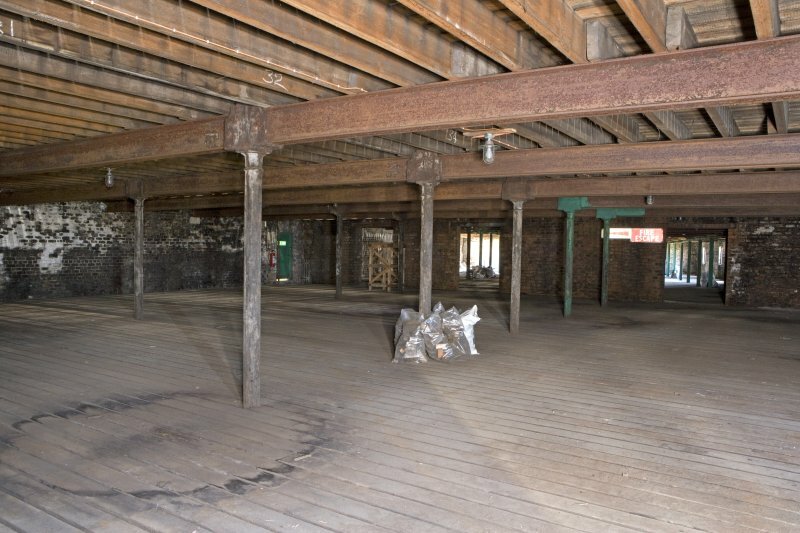 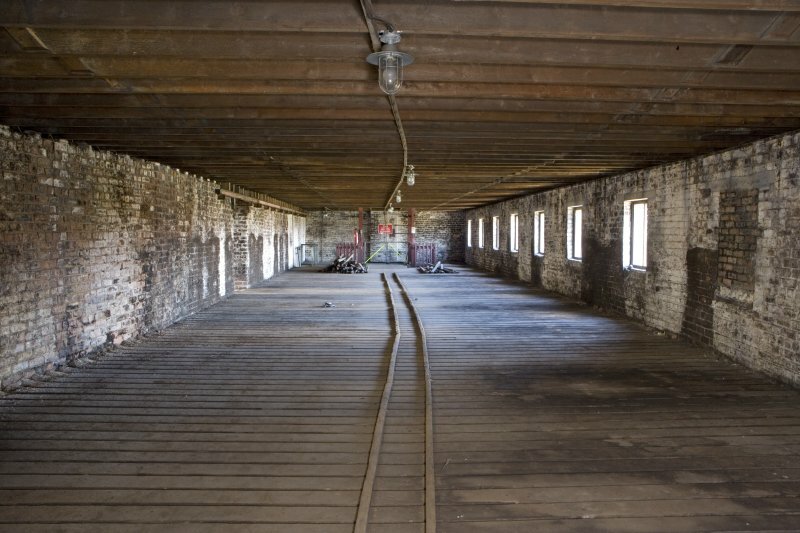 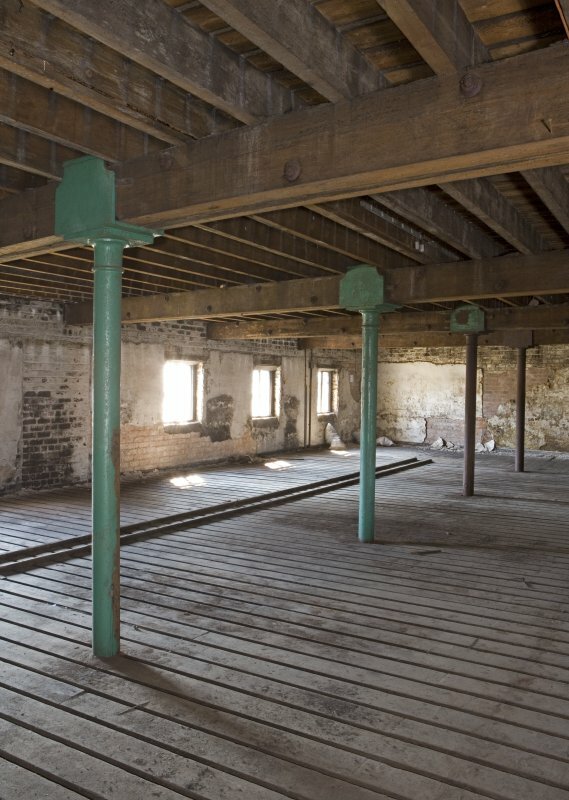 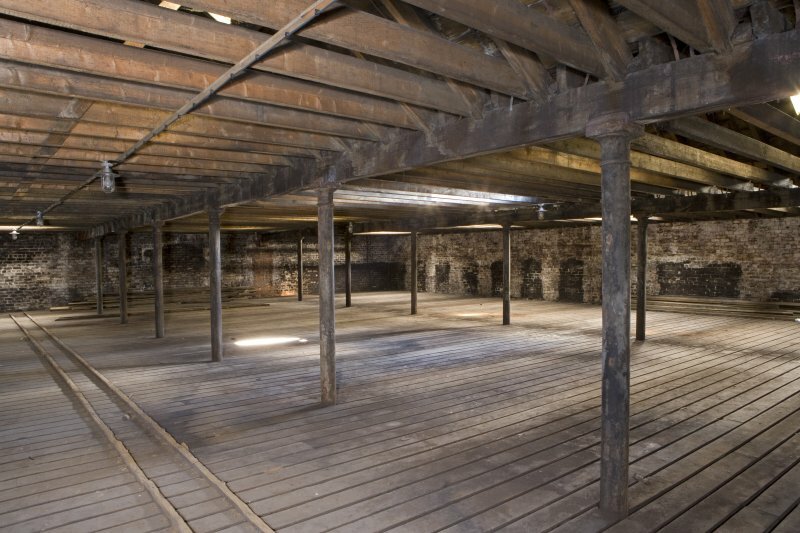 Interior view of second floor of bonded warehouse (east section) at the former Rosebank Distillery. 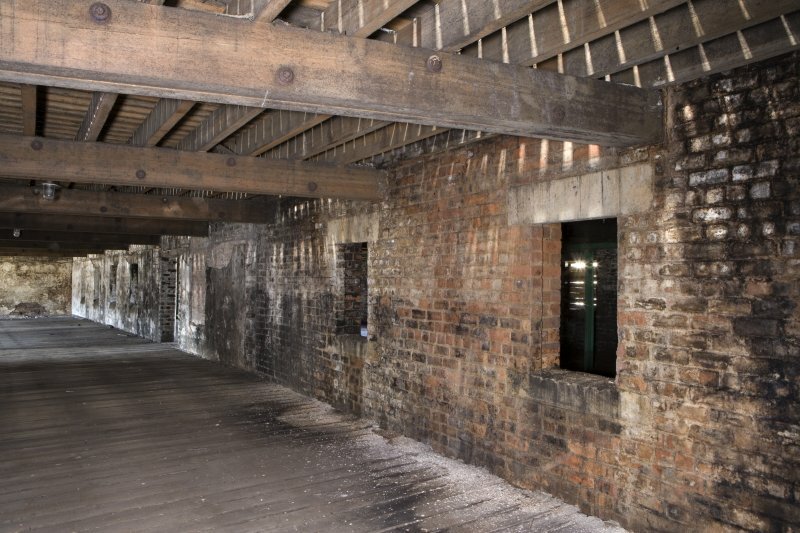 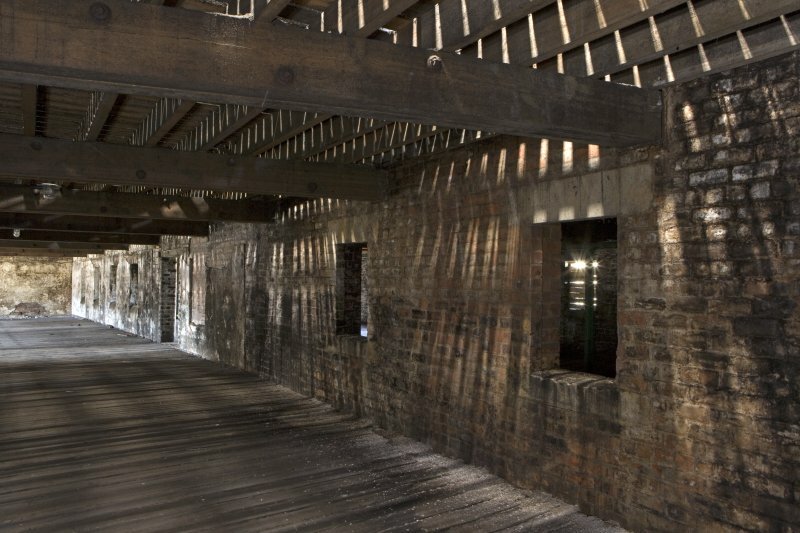 Interior view, looking along the S side of the dividing wall within the first floor of bonded warehouse (west section) at the former Rosebank Distillery. 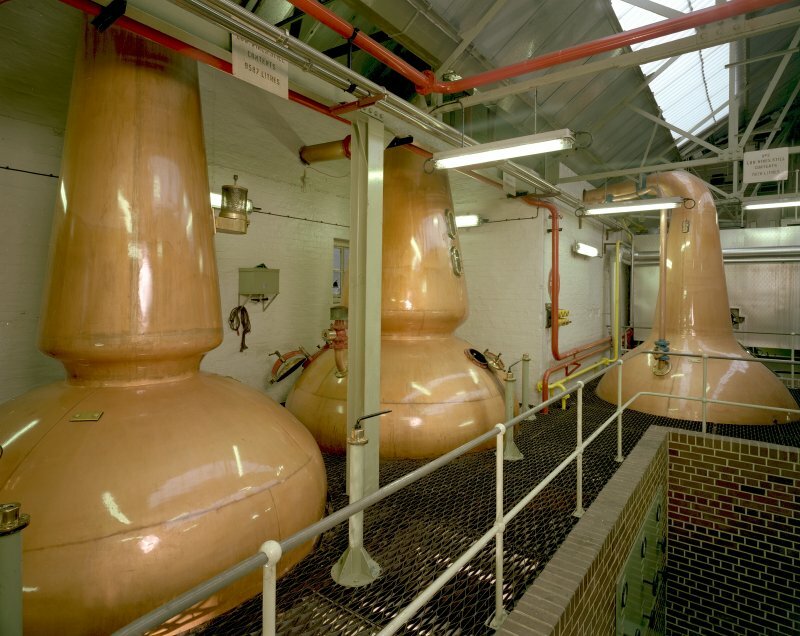 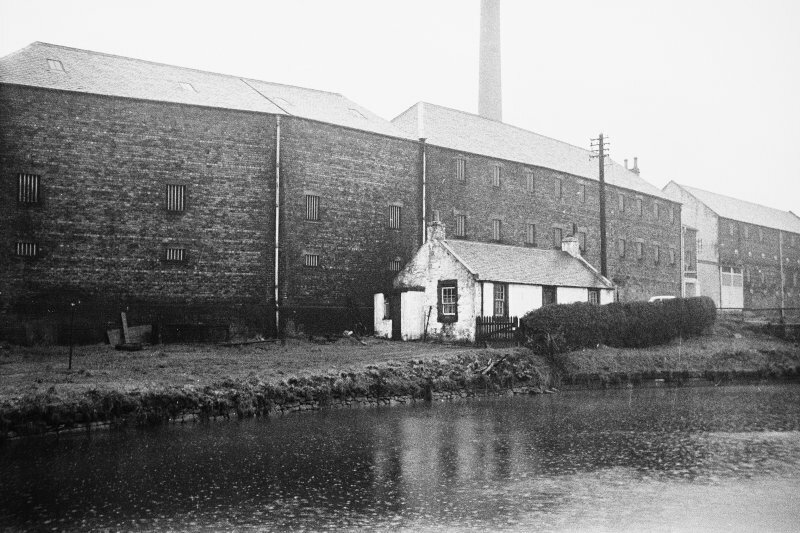 General view of distillery from S.
Interior view, first floor of bonded warehouse (west section) at former Rosebank Distillery. 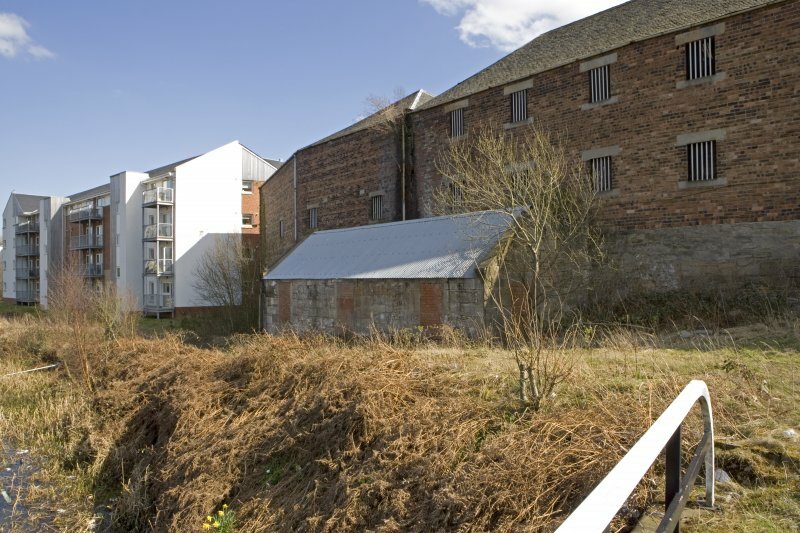 View of offices across central yard from W.
Interior view of second floor of bonded warehouse (east section) at former Rosebank Distillery. 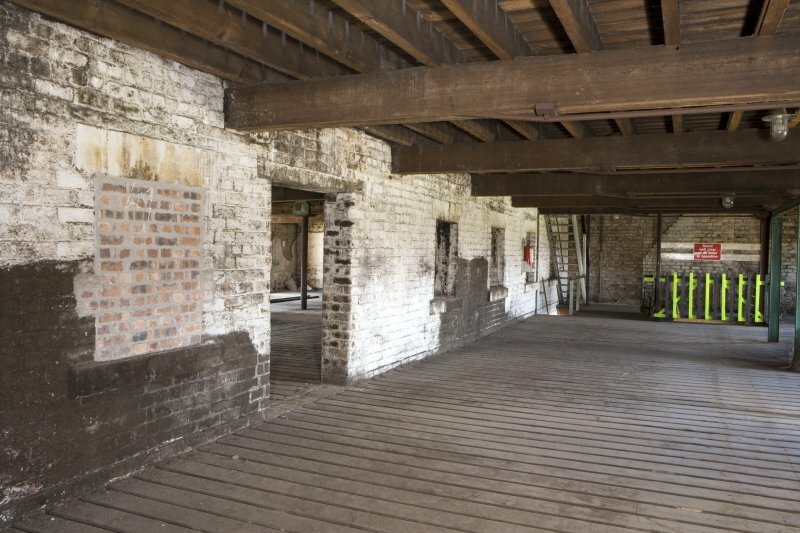 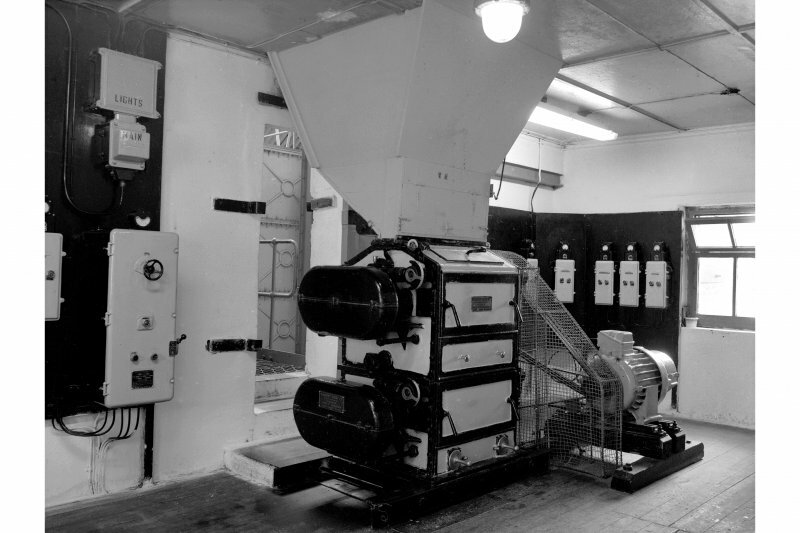 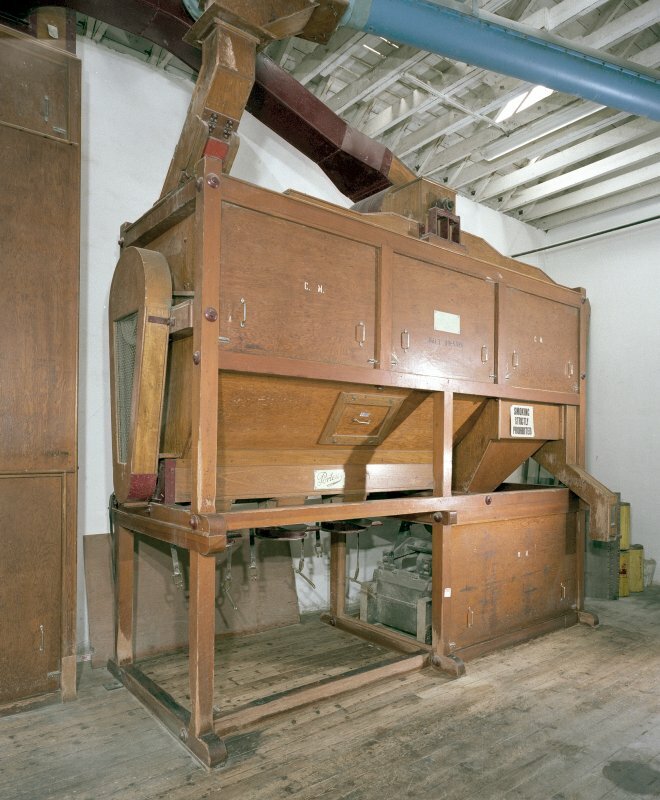 Interior view of bonded warehouse (west section) at former Rosebank Distillery. 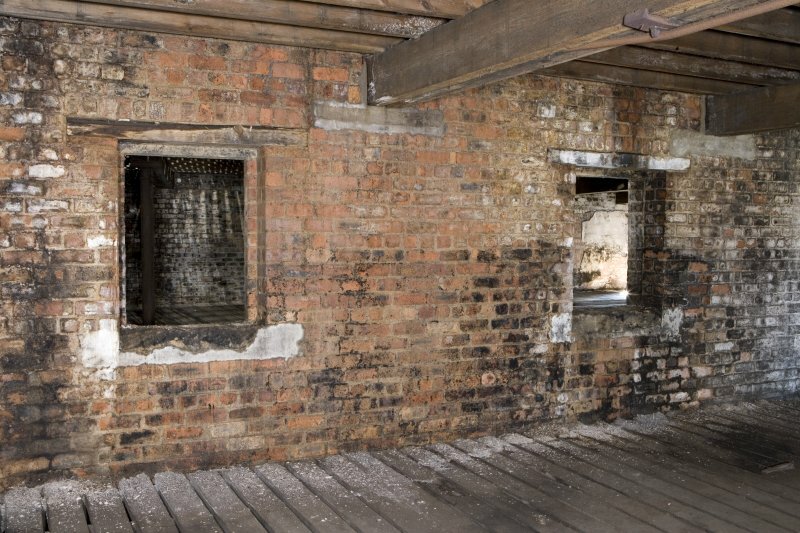 Detail of window apertures on N side of the dividing wall at first floor. 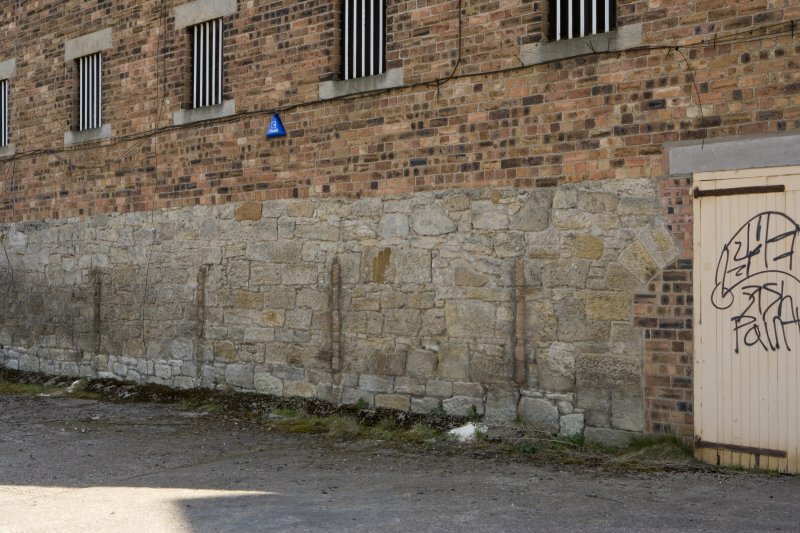 NS 876 803 An excavation and standing building survey were undertaken in April 2005 in advance of a housing development on the site of the former Tophill Boatyard. 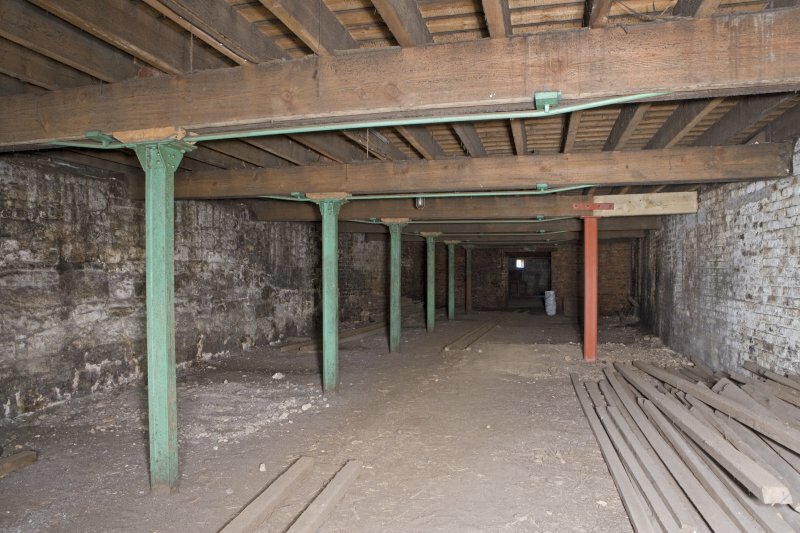 The standing building and archaeological evidence showed that the remains were in accord with cartographic evidence. 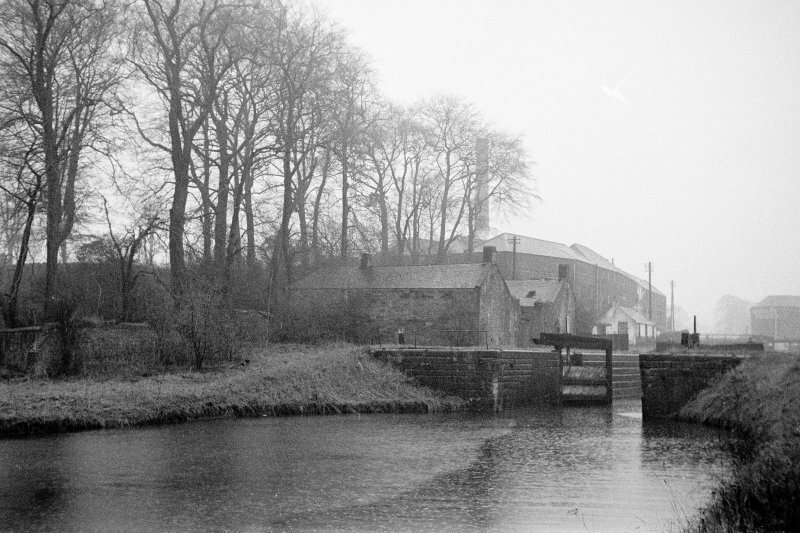 The graving dock was shown to have stone-lined stepped sides. 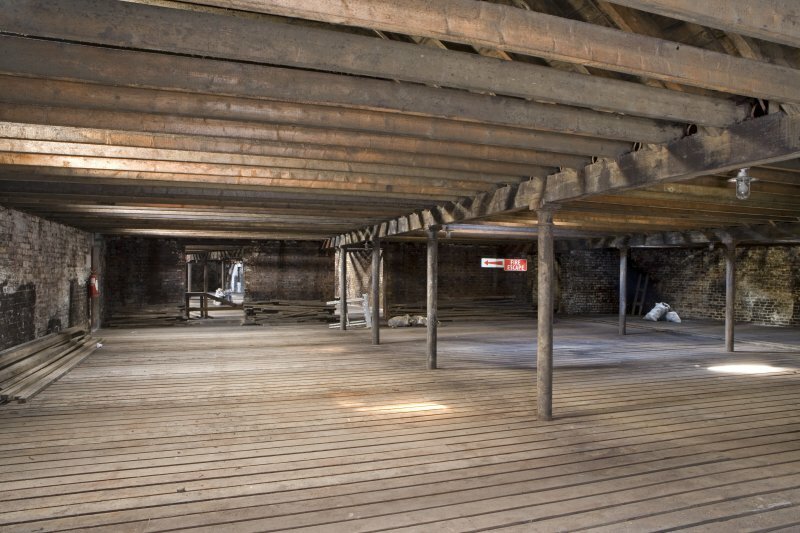 The remains of buildings comprising a carpenter's shop and a smithy, which contained the remains of three furnaces, were excavated. 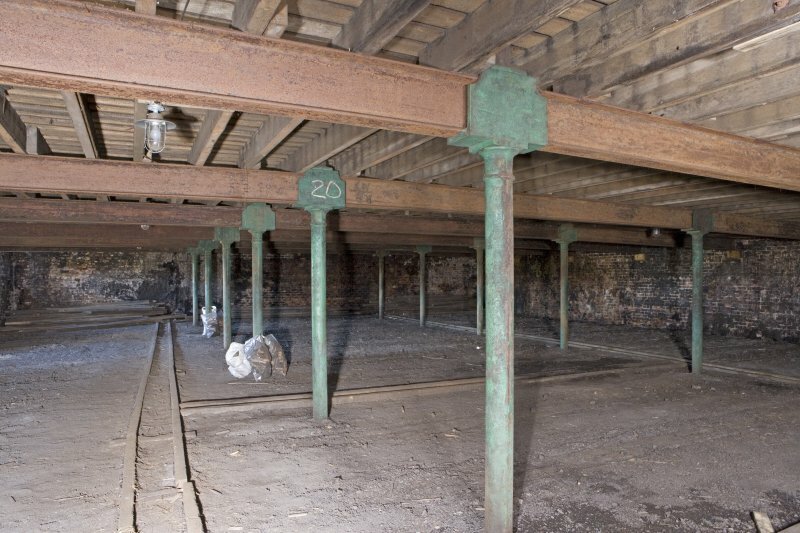 A 2m deep linear stone-built pit was excavated and shown to be most likely a sawpit. 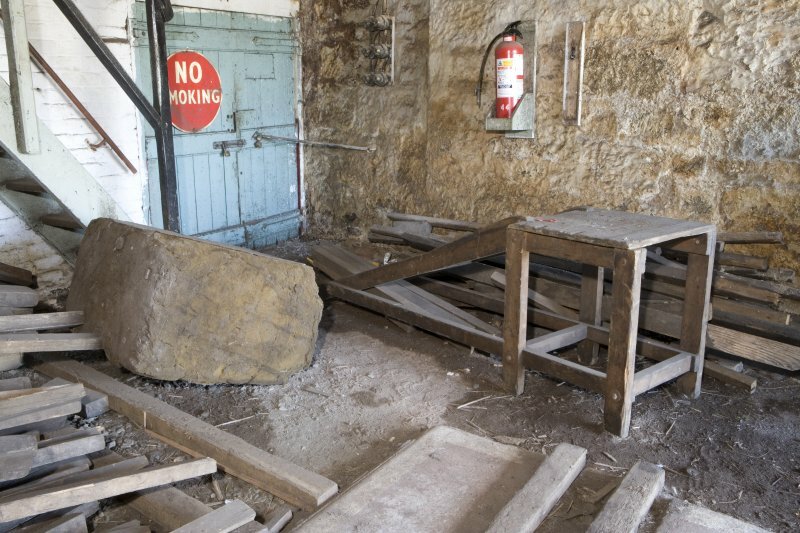 The remains of a boatshed with internal structures including machine plinths, anchors, brick surfaces and a slipway were also excavated. 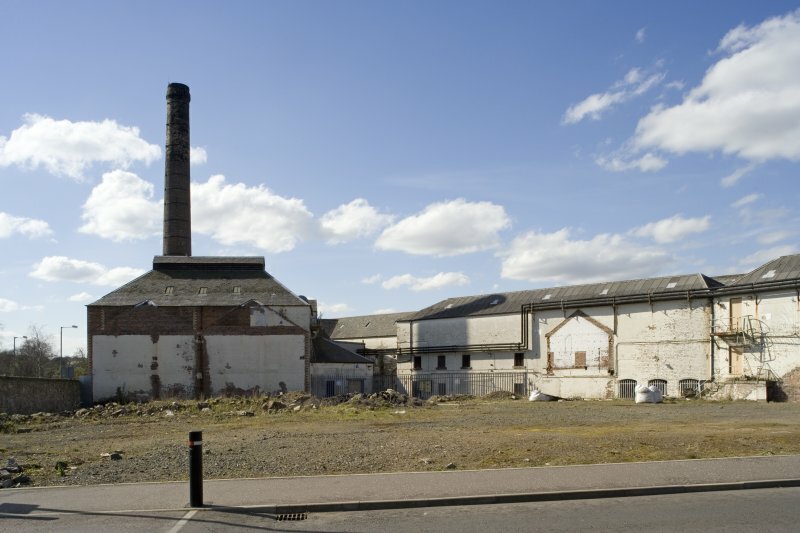 Probably founded 1817 by James Robertson, rebuilt 1864-6 by R W Rankine, later modifications. 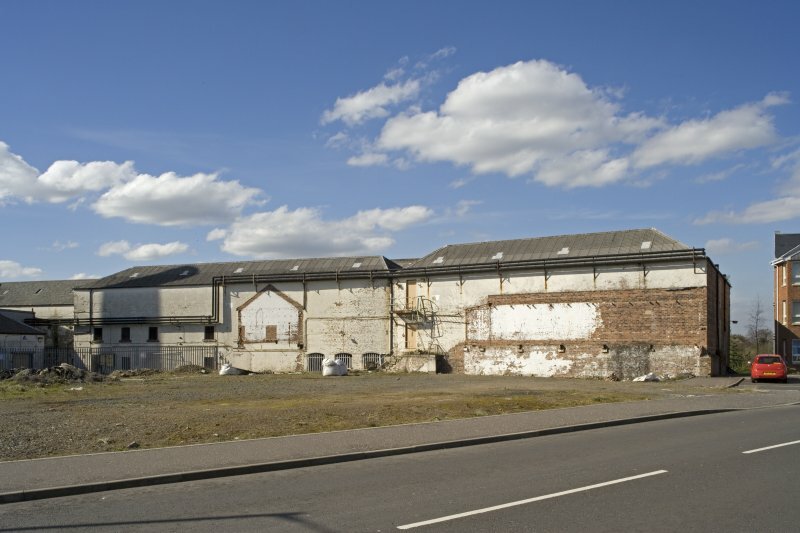 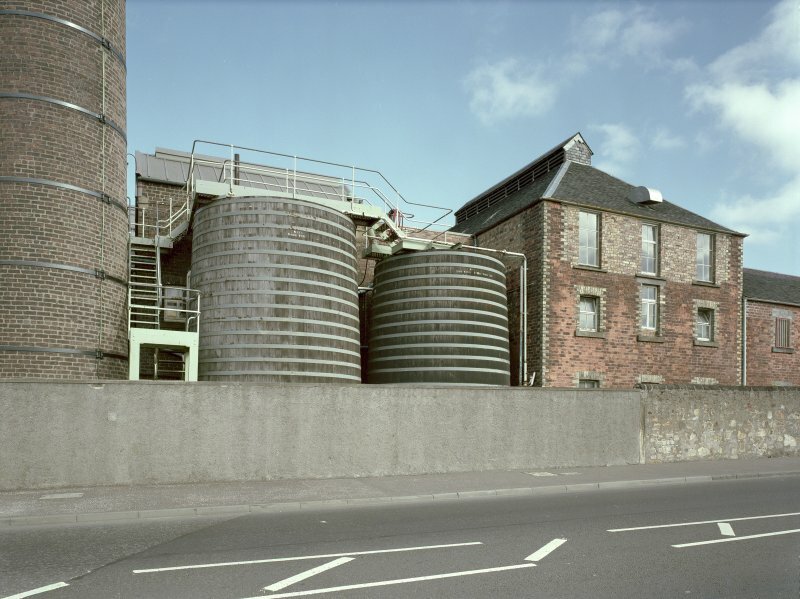 CAMELON ROAD FRONTAGE: range of 2 and 3-storey brick buildings, part rendered, incorporating 3-storey tun room (now 1-storey internally) with evidence of top floor louvred refrigeration room. 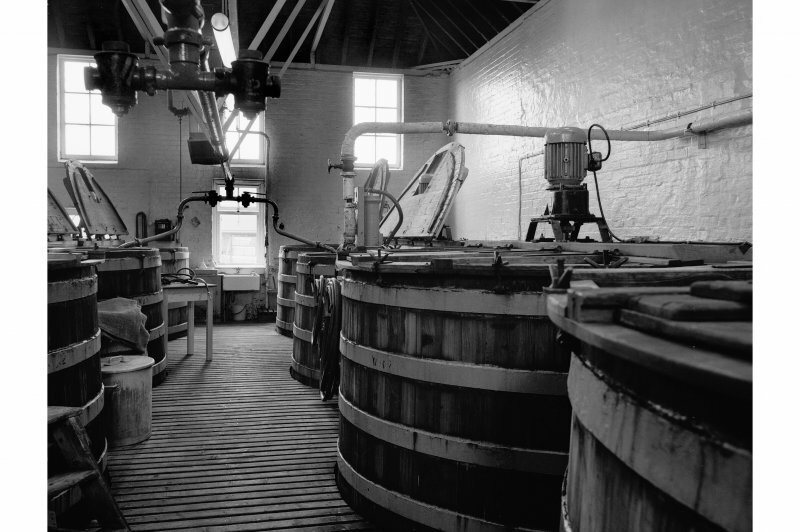 3 large wooden worm tubs in front of set-back still house with 3 stills (triple distillation). 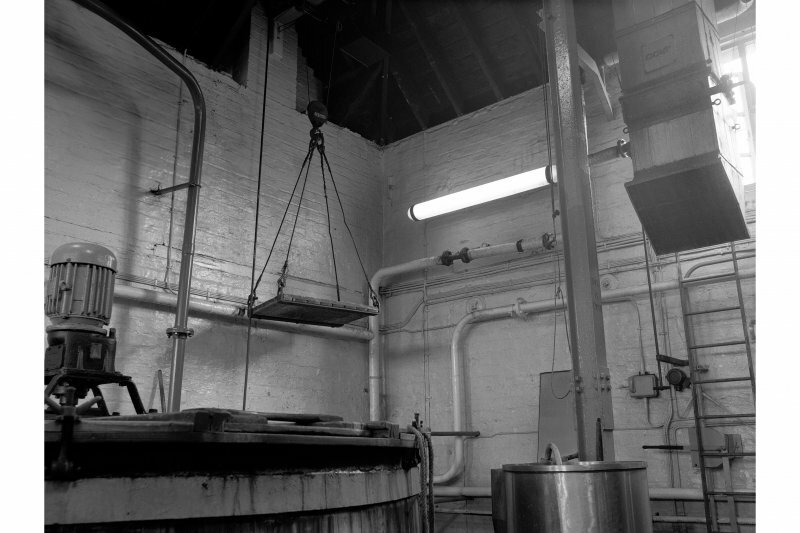 Tall circular sectionred brick chimney stalk with top section rebuilt in brick in 1980s. 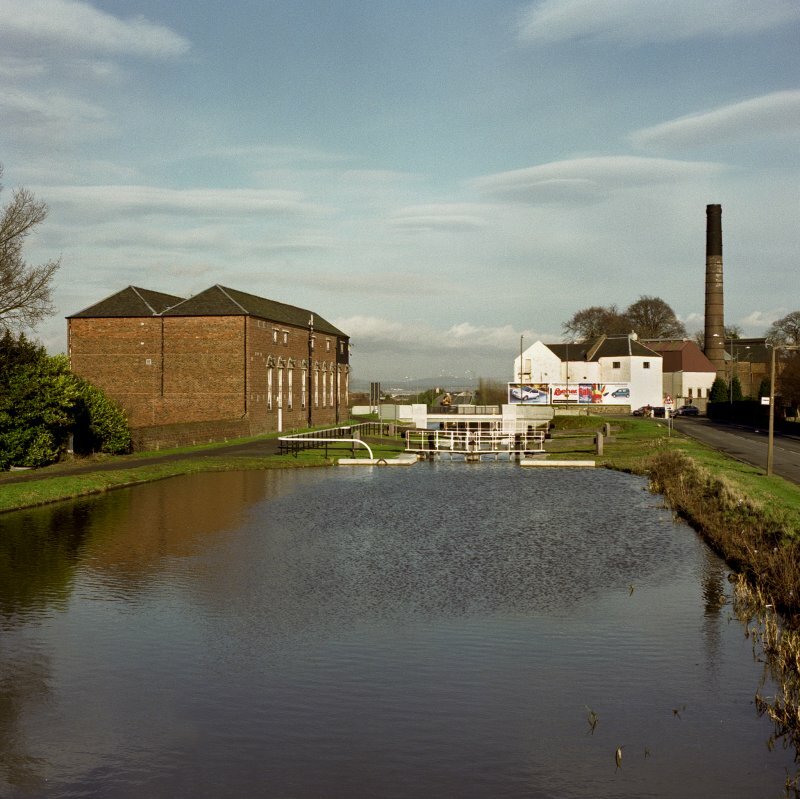 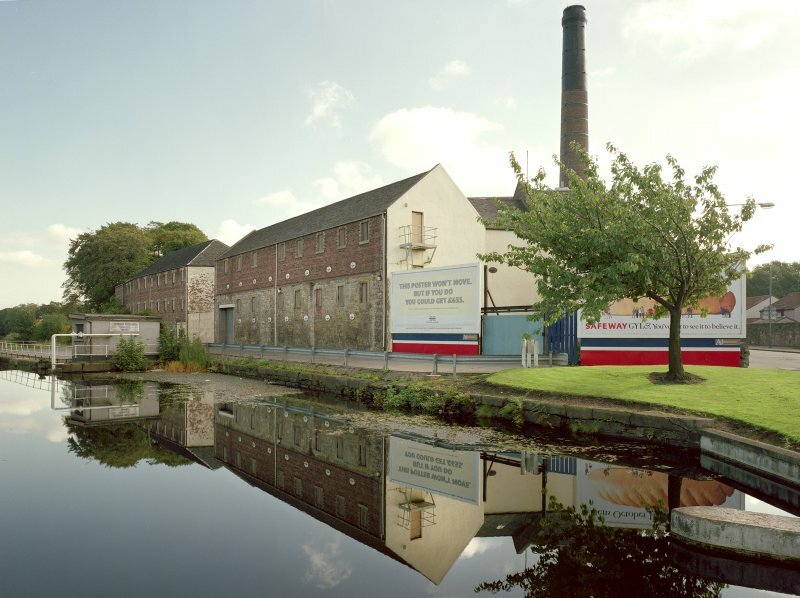 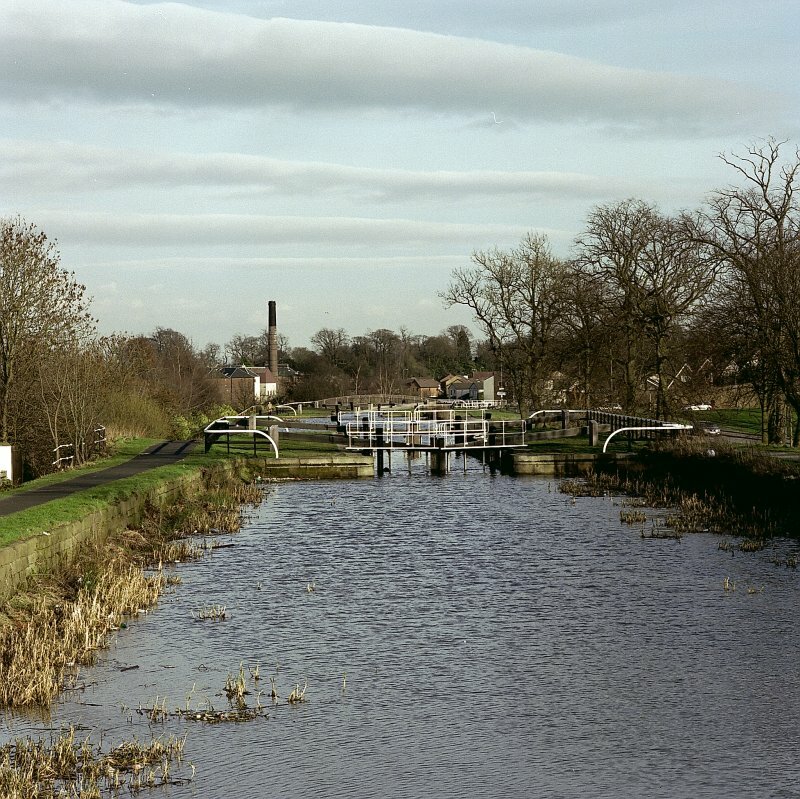 CANAL FRONTAGE: 2 three-storey ranges of duty free warehouses, with gateway between. 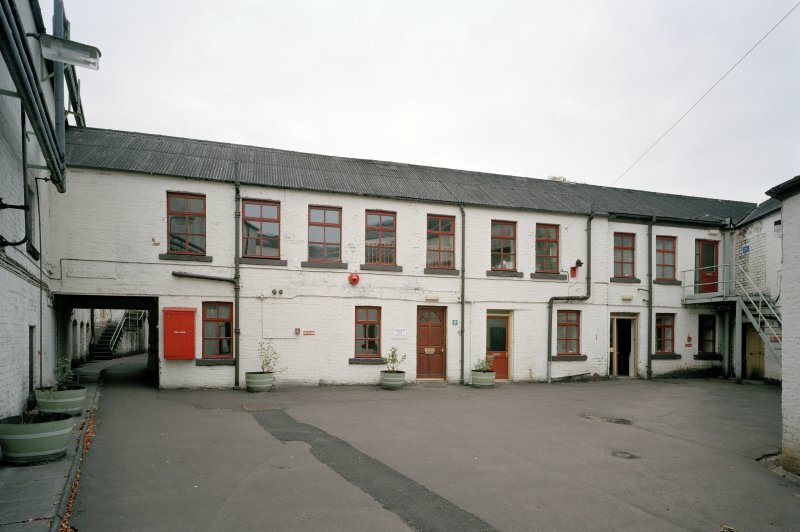 N range 10 bay, masonry ground floor, red and white brick upper floors, with piended slated roof. 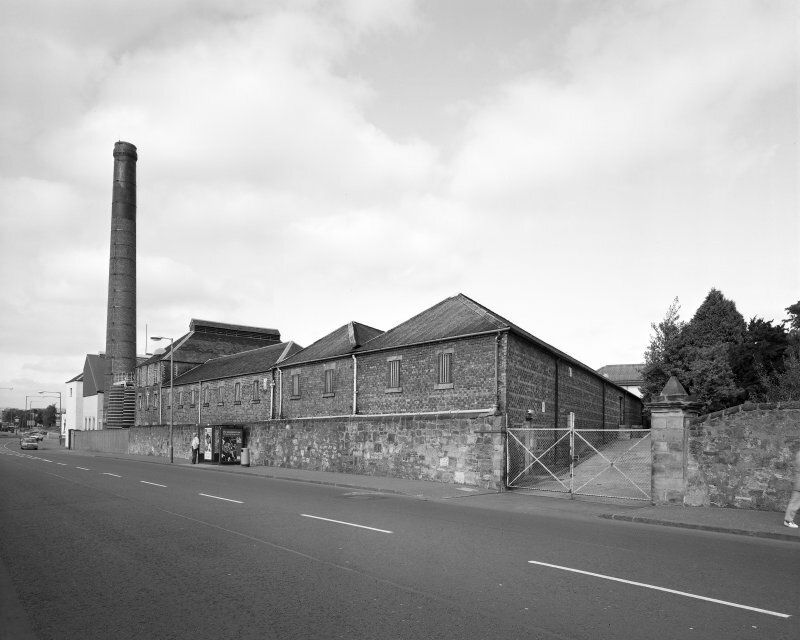 S range 8 bay, masonry ground and first floors, red and white brick top floor, gabled, with slated roof. 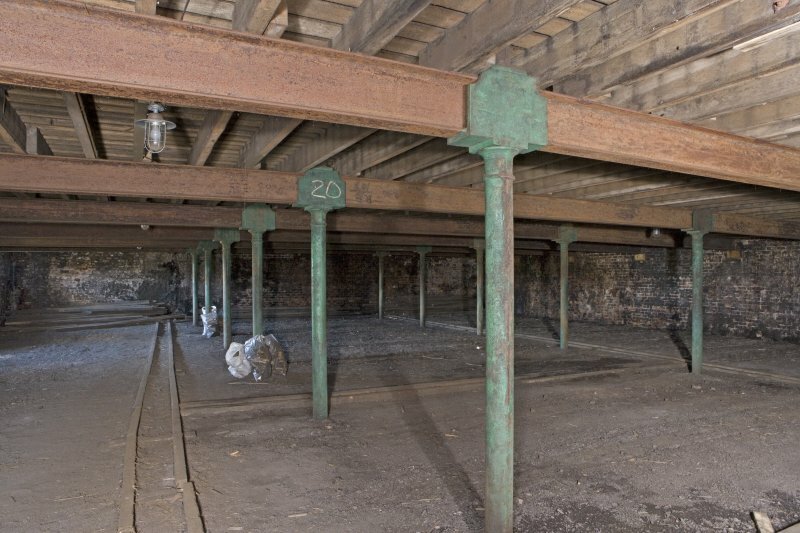 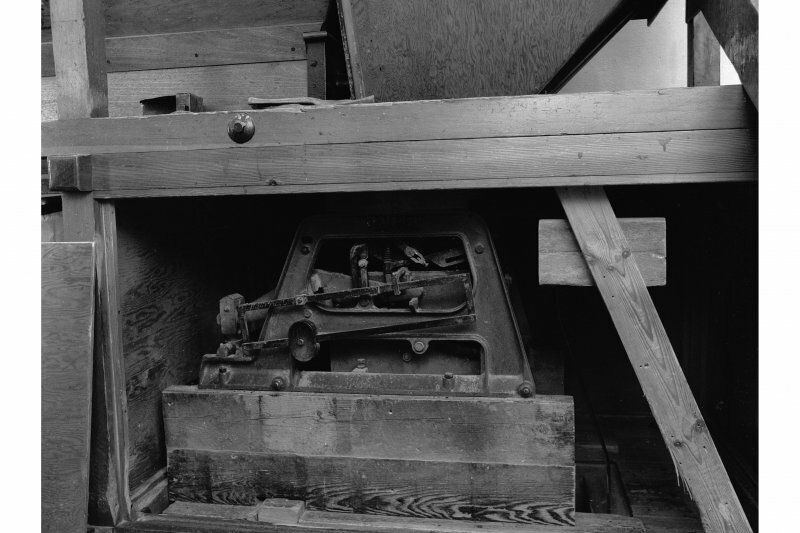 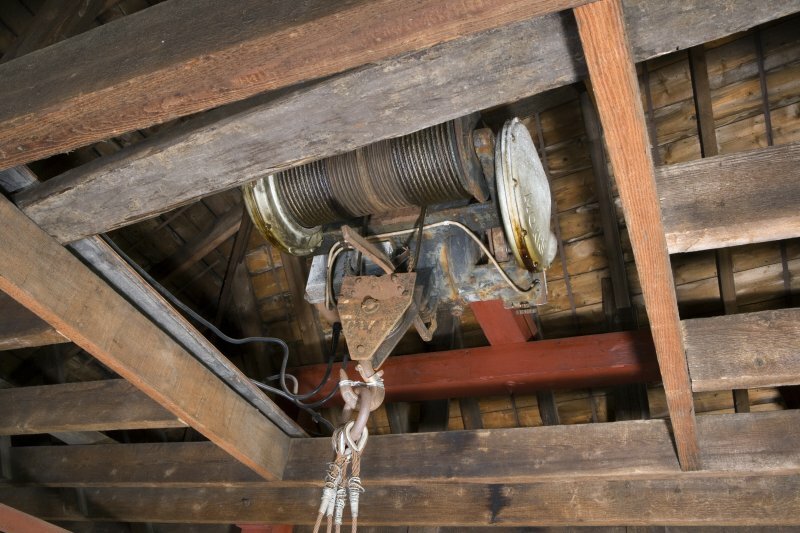 Prominent tie plates between floors.